"Chicken, turkey and eggs from animals raise them on a real, living, breathing pasture, because we think that's the way it ought to be done." Locally grown, non-GMO rice from Southern Illinois that is naturally higher in protein than conventional rice and named in honor of the Cahokia tribe of Native Americans Indians. Charlie's Sprouts LLC, a St. Louis based urban farm that has transformed a city building space into a dynamic productive farming and educational environment. Coconut Kitchen curates organic coconut butters so you can enjoy the healing benefits of this wonderful whole food. Kombucha is a sparkling beverage produced by fermenting sweet tea with a culture of yeast and bacteria. Kombucha starts out as a sugary tea, which is then fermented with Symbiotic Culture Of Bacteria and Yeast, also known as SCOBY. The tea becomes full of probiotics which help contribute to a healthy digestive system. Together, these ingredients take a simple product like tea and turn it into a superhero cocktail for your body. 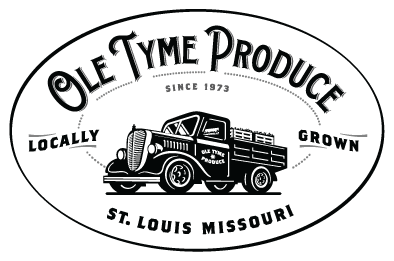 Ole Tyme Produce, Inc. has been in the produce business for over forty years. During this time, many revolutionary changes have taken place both inside and outside the business, including sourcing locally and working with the very latest in technology! Overlook Farm is a family of over 25--Amish to atheist, dreadlocks and tattoos to Ralph Lauren. And if there are any celebrities, they are the members of our farming team who take care of our animals and raise our produce. Sunflower seeds have the perfect balance of protein, fiber and healthy fats for keeping you full, sustaining your energy, and slowing your blood sugar response. SunFlour has 4X more protein and fiber than traditional gluten free flours and is packed with vitamins and minerals. Marketing agency setting the standard for all things tasteful, offering website design and management, social media management and training, press releases and consulting. Turning others' passions into reality through video and photography.